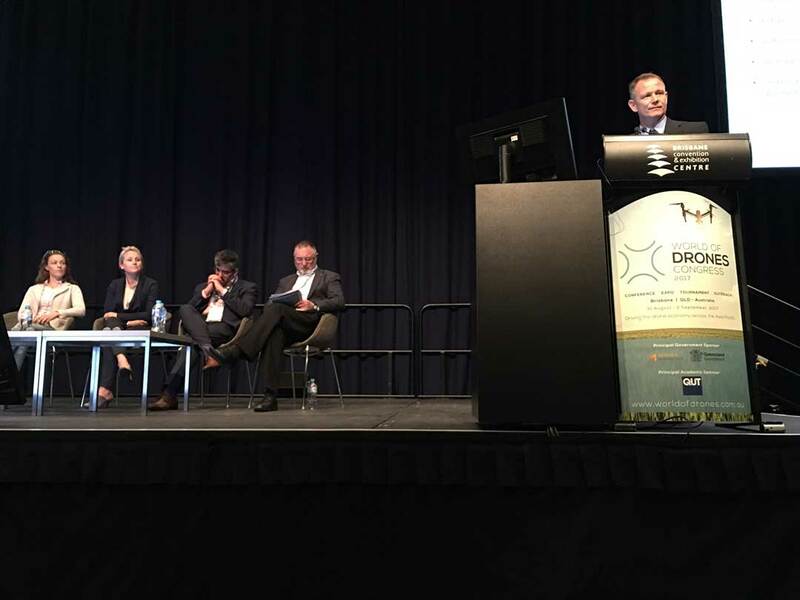 EPE Director Warwick Penrose spoke at World of Drones Congress in Brisbane sponsored by the Queensland Government. The Congress focused on How Drones are Changing the World – emerging technologies, service delivery, humanitarian response, smart communitites and farms. While the prime emphasis was on the new drone economy , the role of drones in Smart Cities, and Emergency and Humanitarian Response, Warwick spoke under the Stream: Risk, Regulation, Safety and Resilience, on the emerging threat posed by drones in urban environments. Threats range from the careless drone enthusiast, to criminals intent on evading law enforcement, to malicious use by terrorists. This creates risk to public safety at major events, risk to critical infrastructure, unwanted surveillance of government assets and facilities, airborne delivery of contraband into prisons, and airborne delivery of IEDs and chemical and biological warfare agents. Warwick discussed th Department 13 Counter Drone platform, Mesmer. Mesmer utilises sophisticated detection and mitigation strategies that automatically detect, identify, mitigate redirect, land or take total control of a target drone or other radio-controlled device. Mesmer RF protocol manipulation takes advantage of weaknesses inherent in digital radio protocols. Mesmer is designed for both commercial and defense/ security organisations to deal with the emerging threat of autonomous systems. Mesmer recognises unique radio signal features and other communication metadata to select and apply strategies that curtail drone threats, unlike other systems that use radio jamming and standard electronic mitigation techniques. Mesmer’s protocol manipulation is low-power, operating below 1 watt and within regulatory constraints. Low power is an advantage as it only affects targeted radio-controlled devices – not non-targeted communication signals in the vicinity. 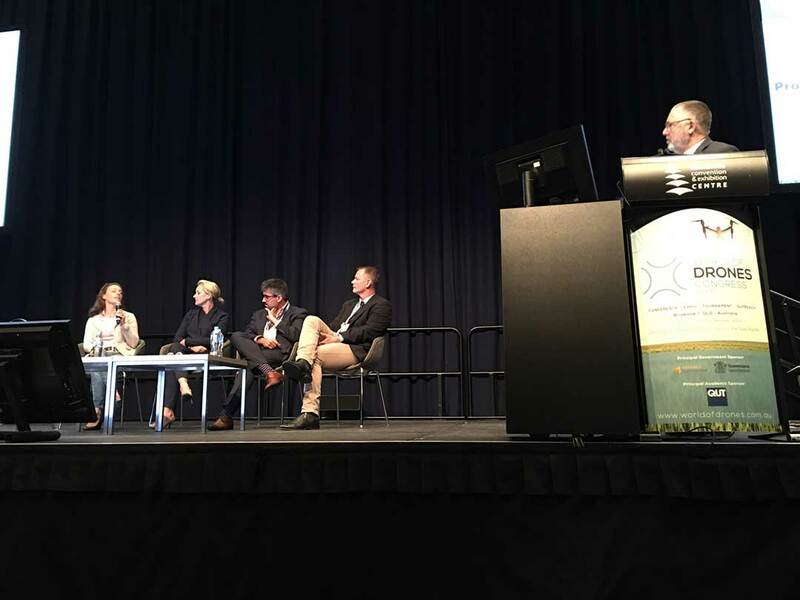 Warwick also sat on the Safety Discussion Panel at the Congress lead by James Coyne from UAS International, and joined by Jackie Dujmovic from Hover UAV, Professor Tristan Perez from QUT, and Brooke Tapsall from Airport UAV.